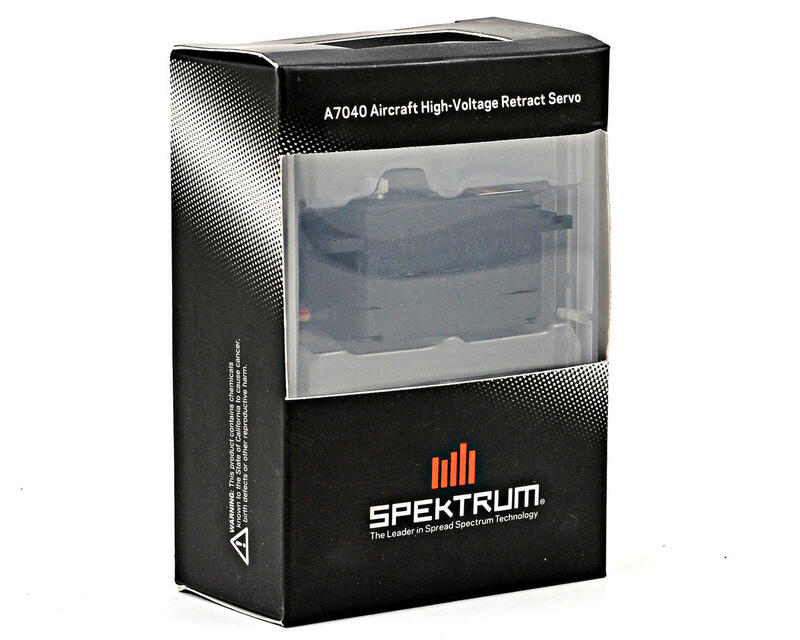 This is the Spektrum A7040 High Voltage Analog Retract Aircraft Servo. The A7040’s wide stance and low profile design along with its heavy duty metal gears, cored motor and class leading 266 oz.-in. of torque, is ideal for mechanical retract systems. 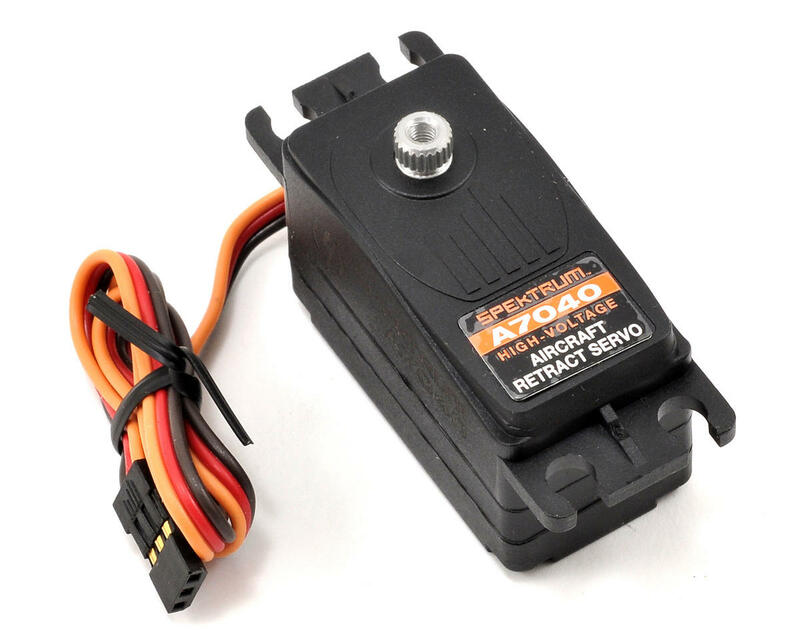 Its ability to accept a higher voltage from a 2S Li-Po battery makes setup simple and operation more efficient. 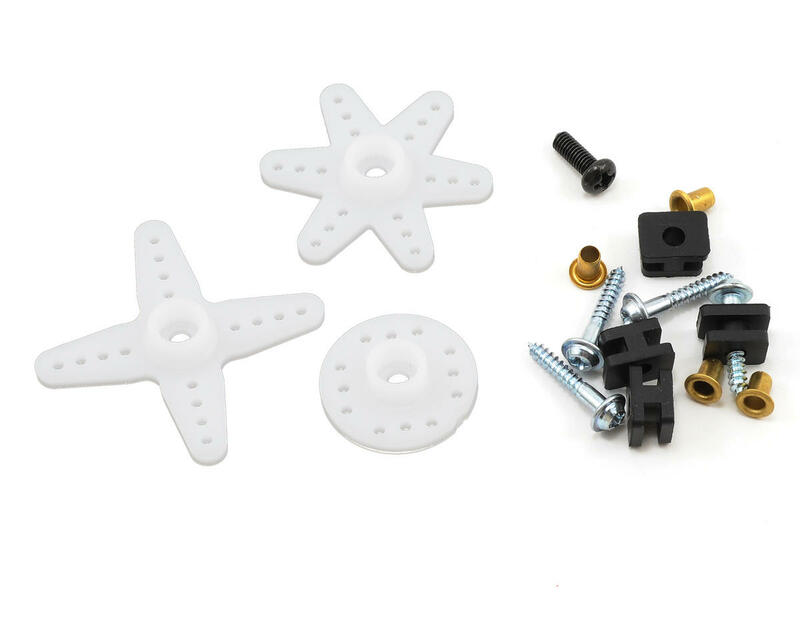 Fully proportional with endpoint adjustable, when paired with a servo speed function, the landing gear movement can be adjusted to simulate scale applications.